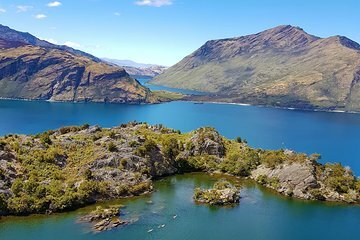 A lot of the South Island’s natural hideaways are tough to get to, and that’s definitely the case with Mou Waho Island. This half-day cruise makes it easy; sail from Wanaka Marina to this isolated island in the middle of Lake Wanaka. Walk to the island’s very own lake, the Arethusa Pool, and take panoramic photos of the lake and the nearby Southern Alps, or take a dip at the beach near the island’s only jetty.